Parking in the garage, Suzi and I took the stairs down and headed opposite directions, though both to work. She crossed the road and I walked to MAX. I arrived at an empty station and pulled out my camera. 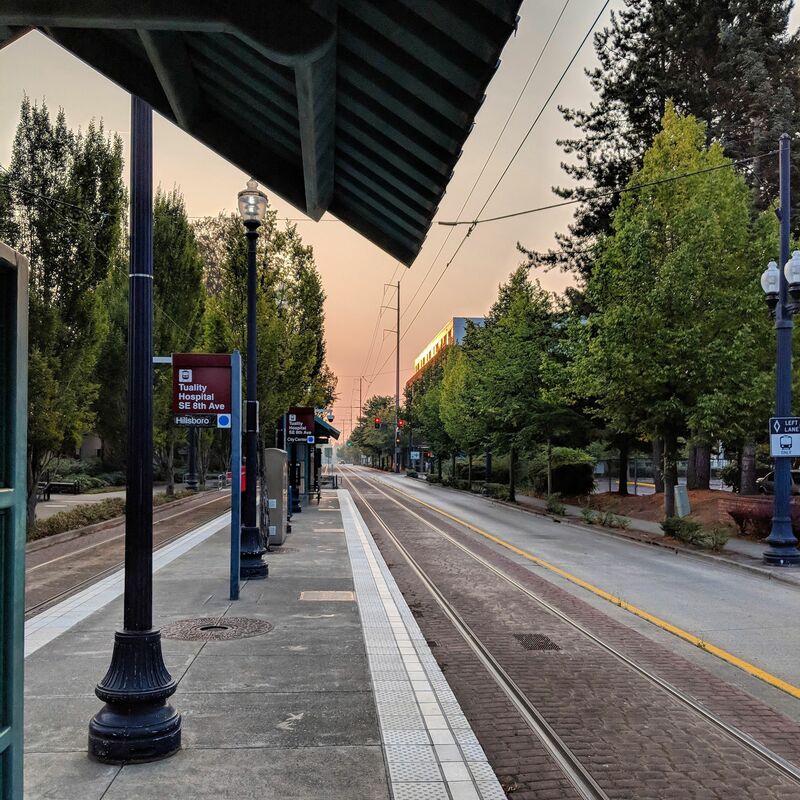 A few months ago, in the midst of a smokey week, I took a picture from the same stop.